About two years ago, West Linn resident Ann Chay looked around the city and saw a void. There were plenty of restaurants and bars, and wineries were starting to pop up on the outskirts of the city. But you still had to go to Portland or another suburb to find a true craft beer or cider experience. Chay — who owns an Oregon-based beverage production, marketing and distribution company called 7Bev — decided to change that. Her dream was realized when the new Willamette Ale & Cider House opened Feb. 23 in West Linn's Historic Willamette area. "West Linn doesn't have anything like this," Chay said. "We wanted to make the taproom something unique for the city. It's kind of like bringing the Portland experience into West Linn." 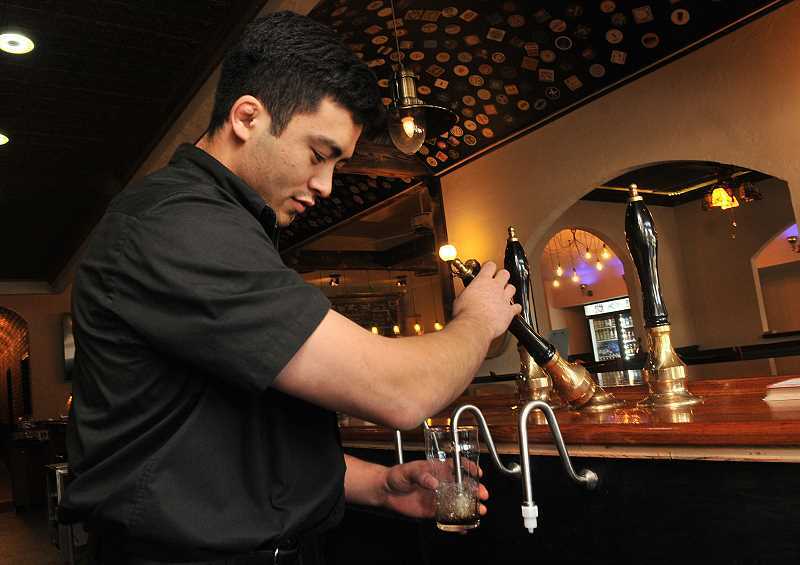 The Ale & Cider House, which is located in the historic Willamette General Store building, is billed as a "London-style pub taproom" that has 14 ciders on tap as well as 13 beers, one "nitro" brew tap, two wine taps and three casks. A distilled spirit tap will be added April 1, and customers can also buy 32-ounce "crowlers" to take home. 7Bev brews its own cider named Queen Orchard in-house, and all of the taps will rotate frequently. 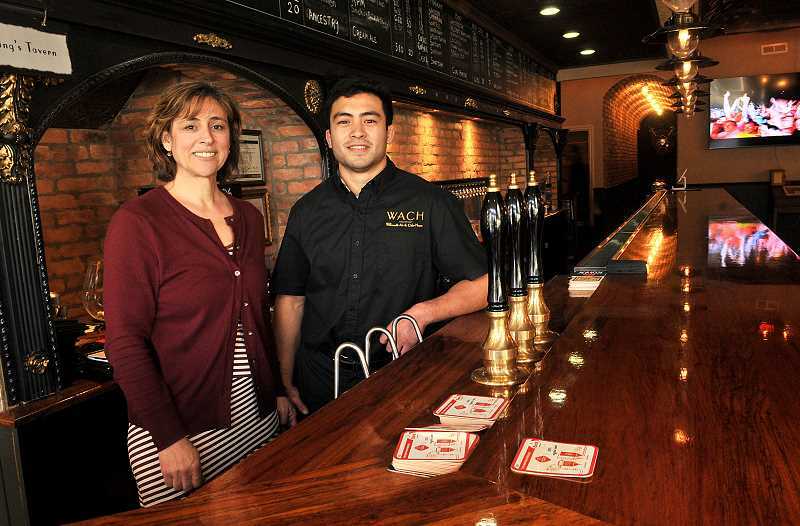 "We're always rotating taps," said Toney Chay, who is Ann's son and serves as general manager at the Ale & Cider House. "And if people have something they'd like to see, they can notify our staff and we can try to get it on the tap list for them." "Everything is specialty — most of the kegs are made specifically for us and specifically for here," Ann Chay said. It's a similar story with the food, which aims for freshness above all else. "Everything we have is craft: the beer, the cider, the food," Ann Chay said. "We have no microwaves, we have no fryers. We do all our meats in-house. We infuse them with our beer and our cider and then we smoke them all in-house. ... All of our breads are made by a German man especially for us. "Everything is homemade — all the sauces, all the salad dressings, everything." As the weather improves, outdoor seating will be opened in the front of the building, and Chay hopes to also work with the City to open up more seating space at the back of the property. "We have about 10,000 square feet that we're working with the City now trying to get opened up," she said. "We want to be able to light that thing up, maybe put some fire pits out there and have some seating ... we want the community to enjoy it back there, and there's been high demand for that to happen." Every square foot will count, particularly as Chay works to brand the Ale & Cider House as a new community hub. The taproom has already played host to several community events like the West Linn Historical Society's "Ignite West Linn" lecture series and a campaign kick-off for Metro Council candidate Christine Lewis. "We really encourage people to call in and book their community events here," Chay said. "We have book clubs that want to meet here, a women's club that wants to meet here — we're very much opening up for that." The Ale & Cider House is also planning a number of weekly events like trivia and open mic nights, appearances by cider brewers and live music on Saturdays. Speaking over the chatter of customers just after noon on a recent Wednesday, Chay said the opening had gone about as well as she could have hoped. "It's been very good," she said. "This is week two and I think we've been very well-received."